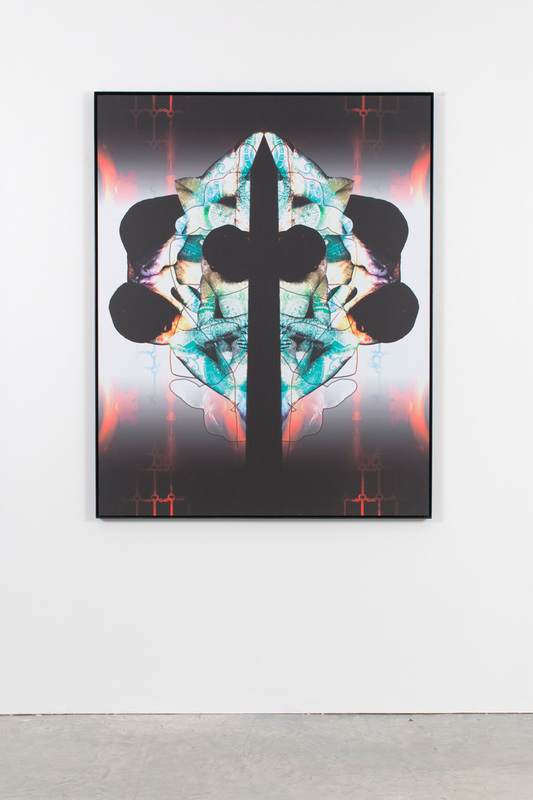 Vilma Gold is pleased to announce Mark Titchner’s first solo exhibition at Vilma Gold, London since 2004. 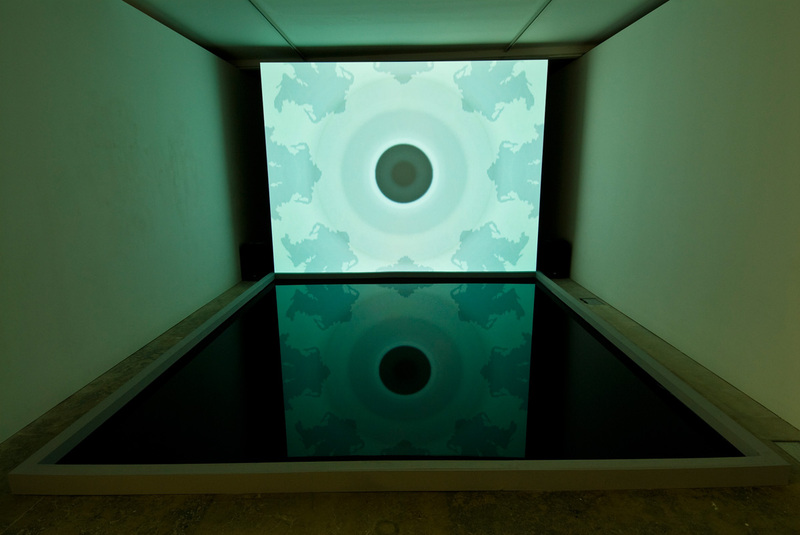 The exhibition is in two parts; a sculptural installation The White Lite, and a video installation; The Eye Don’t See Itself. 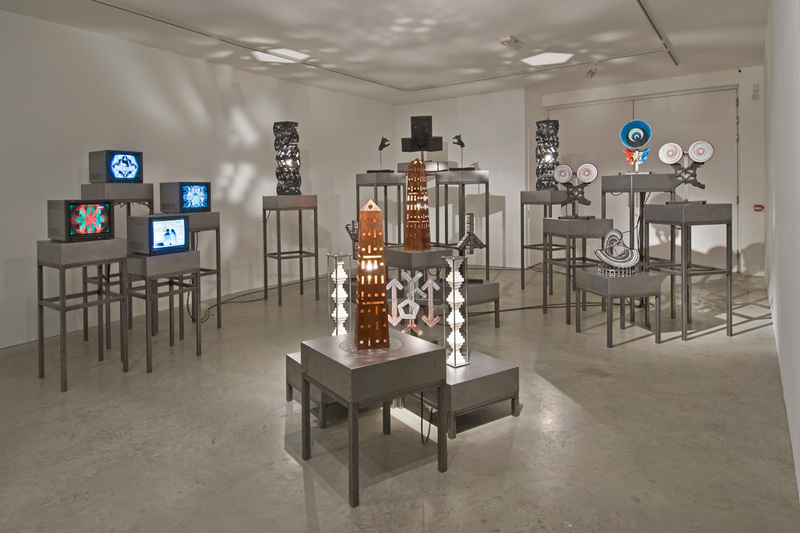 The exhibition continues Titchner’s interest in human perception, language, and states of mind, and examines the symbolism of sexuality and gender, encryption, illusion, and symbology. 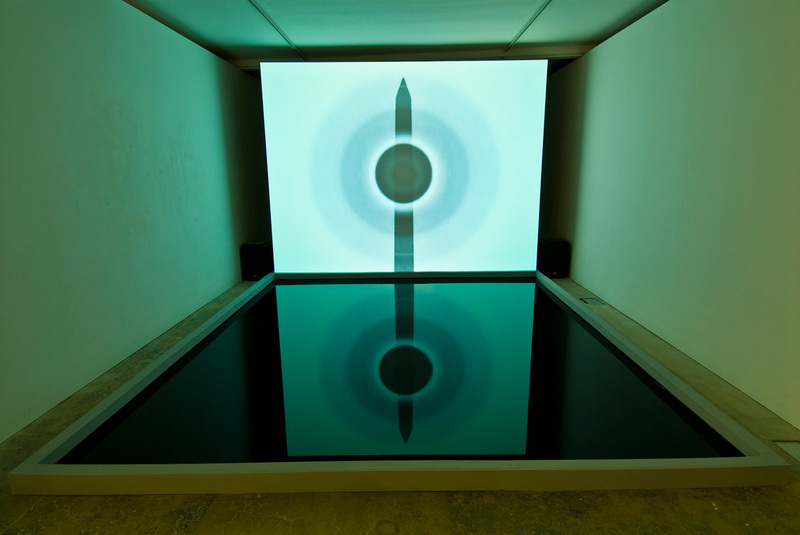 The Eye Don’t See Itself is video projection as monument, mirrored in a black reflecting pool, referring to the Washington Monument. 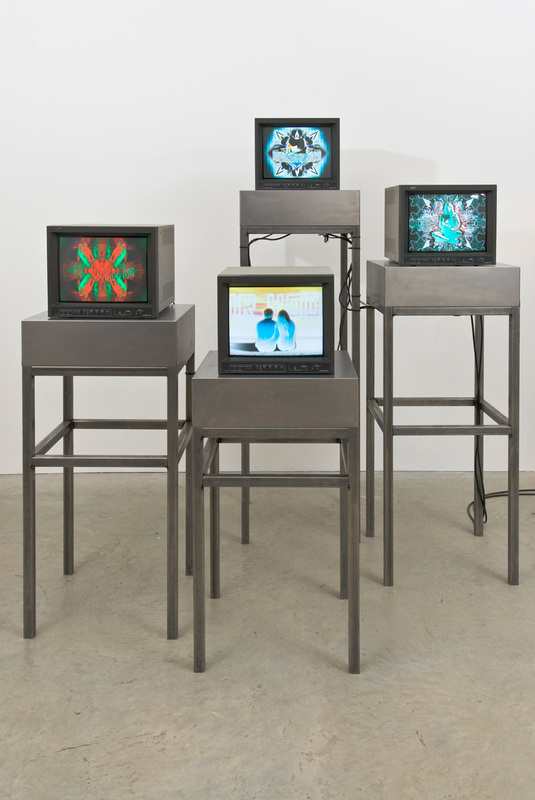 The video is a kaleidoscopic depiction of an unblinking eye against a phallic obelisk, on an endlessly shifting background. The background is based on a Rorschach inkblot commonly believed to represent the father. This video employs a flickering light at a frequency of 10Hz, in correspondence to the brain electrical activity in Alpha state in attempt to alter the perception of the viewer, which also references the work of W Grey Walter and Brion Gysin. 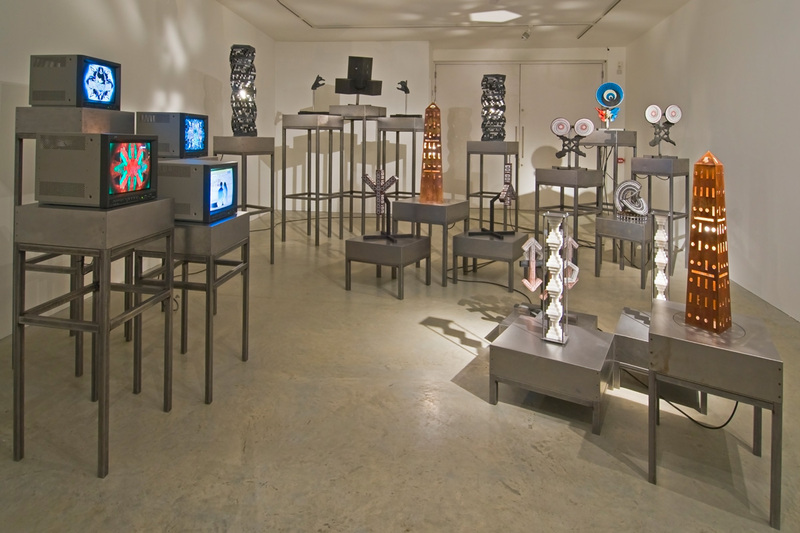 The second gallery space: a stepped arrangement of 20 objects, including 4 videos. Bastardised rotoreliefs depicting undulating breasts and a panoptical eye combined with casts of male and female pelvis bones, bear a resemblance to Rorschach inkblot cards. Maquettes for a version of Brancusi’s ‘Endless Column’ made of sugar cubes, reference the giant LSD sugar cube pyramid in ‘Hollywood’s first underground movie’ The Acid Eaters (1968). 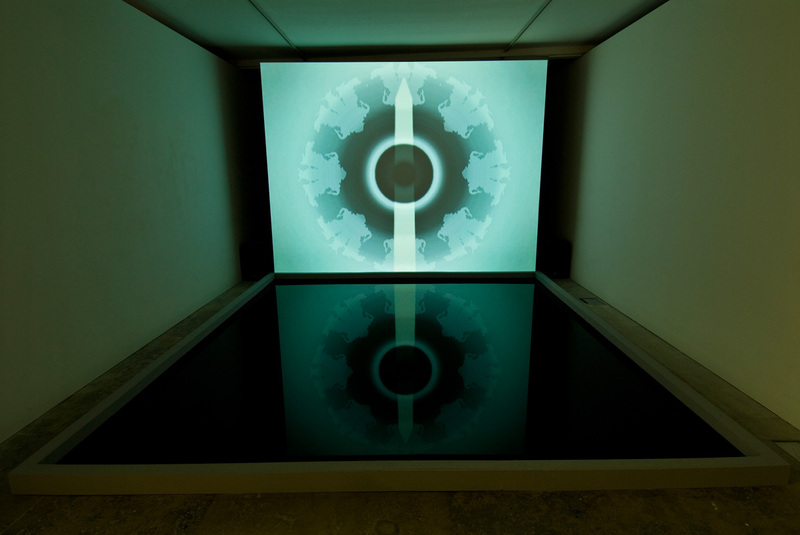 Four kinetic light works that apply the principals of Brion Gysin’s Dreamachine to the forms of the Obelisk (which project an encoded light message/incantation) and the Solomonic Column (columns based on the two columns in the Temple of Solomon in Jerusalem). Two casts of hand shadow puppet versions of the devil. A carved CND symbol, and its inverted version, the Runic Symbol. Algiz the Elk, the rune of protection, a broken circle formed from two monochrome rainbows supported by a string art visualisation of every permutation of letters in the English alphabet. 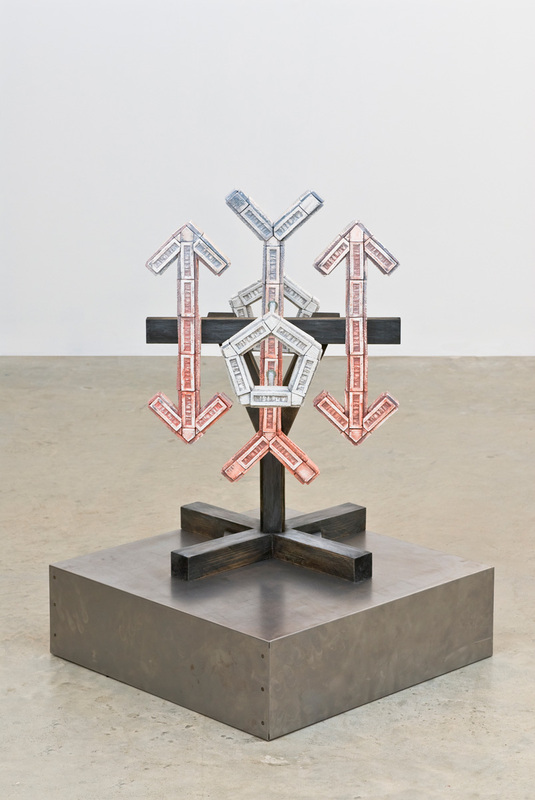 Lastly a sculpture of a well known five-sided shape attached to a well-known optical illusion.